We are excited to announce the transition towards our first ever Regional Junior Player Development Academy, in line with the Metro High Performance Academies for junior players. The Pilot Program will be implemented in partnership with the Gippsland Bulls, Latrobe Valley HA, West Gippsland HA and East Gippsland HA. However, there is no change to the 2018 HAVAL JSC process at all (trials, etc). 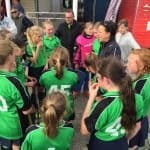 It is hugely important to note that the intention of this development is to provide a recognisable existing regional entity as the platform for the player/coach development in Gippsland. In this case, this entity is the Gippsland Bulls (just as WestVic may be the entity for the South West Country Zone when we implement the new model in that region). 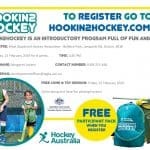 The new model will ensure the focus is on the future of junior development in the region and establishing a two-way relationship between the Gippsland Bulls and the three Associations, which will drive the development of hockey players in the region. Establish a coach development pathway which would ensure self-sustainability for the region in the future. The desired outcomes of the above model would be an increase in JCC team participation (and the improved results) from the three local associations, improved JSC results for the Zone, increased regional player representation in the State Teams, reduced travel relating to player development, and local employment/development opportunities for coaches and an administrator. We understand that the model will take time to fully embed, but it is very important to commence the transition now. Rename the zone to Gippsland Bulls. Implement minor change to Zone uniform to reflect the change. Form a Zone Committee with representatives from LVHA, EGHA, WGHA and Gippsland Bulls to oversee the transition. In March, HV will meet with the local Association and the Gippsland Bulls to finalise the details for the Regional Academy, which will commence in the last quarter of 2018. More details will be distributed in the near future.